← Overweight and Diabetic? Is the Excess Weight in Your Jeans Caused by Your Genes? After reading the article about Duke’s exercise study, I will comment as follows. If a person has diabetes or pre diabetes and is following a traditional diabetes diet based on calories and containing about 50-55% carb, 25% protein, remainder fat, aerobic exercise would be trump resistance training at burning visceral fat, liver fat, and decrease blood sugar. This is, of course, if you believe that the traditional diet for diabetes is the way to go. As a registered dieitian and certified diabetes educator with over 30 years experience specializing in diabetes, weight loss, metabolic syndrome, a person with type 2 diabetes, and the developer of the “Miracle” diet series for people genetically predisposed to metabolic syndrome, pre diabetes, and type 2 diabetes…I would argue that the best method to rid visercal fat, belly fat, liver fat, and circulating lipids (LDL, trigs) is a diet AND exercise program that alleviates the root cause of these problems…insulin imbalance and resistance. After years of research and development, I have over 6000 patients following the program with permanent improvements in weight loss, inches lost to equal pounds lost, lowered blood sugar, A1C, cholesterol, triglycerides, serum insulin levels, CRP, and increased Vitamin D. I can also report improvements in energy, focus/concentration, mood, decrease in carb cravings, libido. The program involves 2 major steps: 8 weeks of a lower carb program that does not restrict most veggies, allows for liberal intake of lean protein, nuts, natural nut butters, lower fat cheese, tofu, seeds as well at 5 gram “counter” carbs at meals and bedtime. After 8 weeks of resting the pancreas and liver on this first step, I encourage my patients to have their metabolic panel, lipid profile, A1C, insulin, CRP, and Vit D retested. There will be marked improvement and I can now inform each patient what his/her pound/inches lost will be after each 8 week cycle. The exercise while on this program: aerobic endurance,, and/or strength training…even yoga, Tai Chi, gardening count….a minimum of 30 minutes increased activity, 5 times/week. After this step, the patients keeps all the Step 1 foods in place and methodically adds a certain amount of low glycemic index/low glycemic load carb grams at specific times throughout the day and night. Exercise? 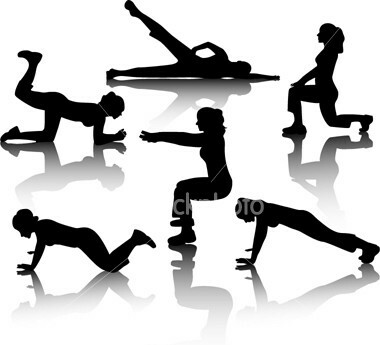 aerobic/strength training/endurance, a minimum of 5 days a week, 3o minutes. When desired weight/size is attained and labs are normal with little to no medication, there is an individualized maintenance step. What is achieved? For the first time in the self management of metabolic syndrome, pre diabetes, type 2 diabetes….permanent weight loss, AND decreased need for medication. So…the moral of this story….it’s not aerobic trumps endurance…it’s the proper style of eating with physical activity gives health and a new lease on life to those with or on the road to type 2 diabetes. This entry was posted in Diane Kress, The Metabolism Miracle and tagged ADD/ADHD, Alzheimer’s disease, atkins, belly fat, BMI, breast cancer, breast cancer awareness, cholesterol, chronic fatigue syndrome, diabetes, Diane Kress, diet, Dr. Oz, Dr. Phil, Duke University, Ellen, exercise, fibromyalgia, glucose, glycemic index, high glycemic index, hyperlipidemia, hypertension, hypoglycemia, insulin, insulin resistance, Lab work, medication, Met B, metabolic syndrome, Metabolism B, Metabolism Miracle, Metabolism Miracle Cookbook, midline adiposity, oprah, PCOS, prediabetes, research, south beach, study, The Doctors, type 2 diabetes, weight loss, weight reduction, yoga. Bookmark the permalink.